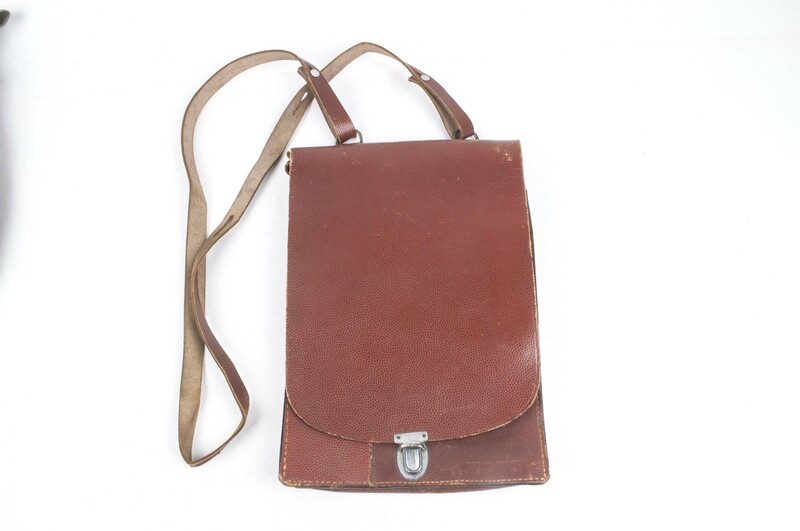 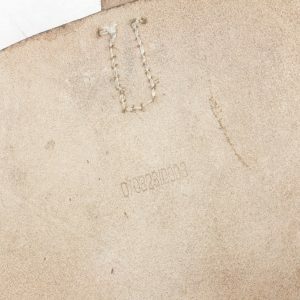 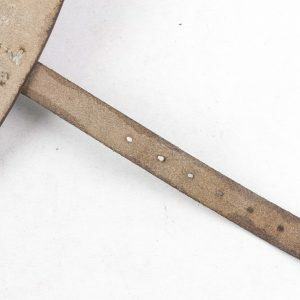 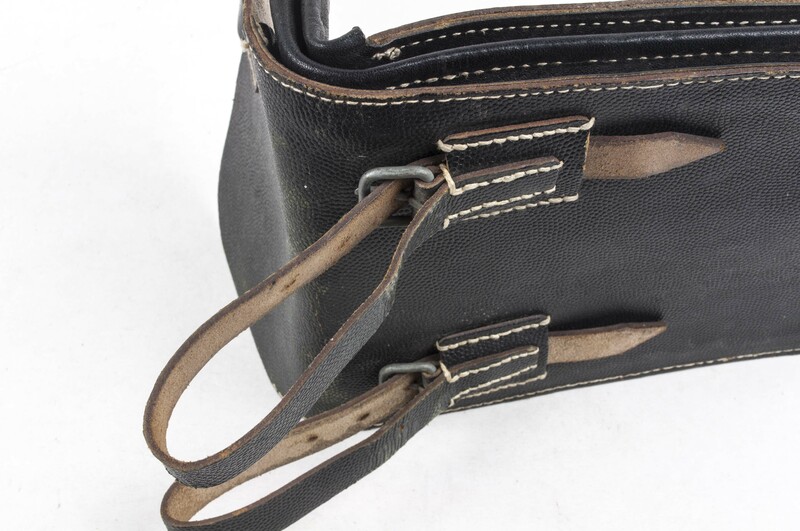 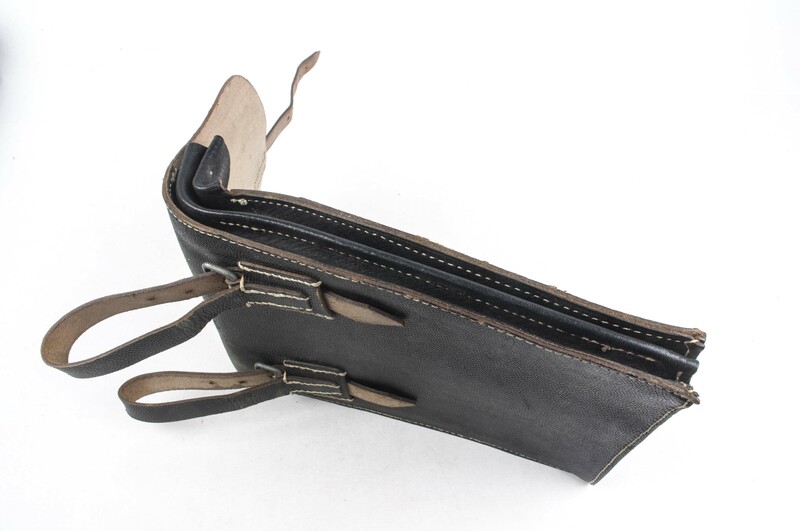 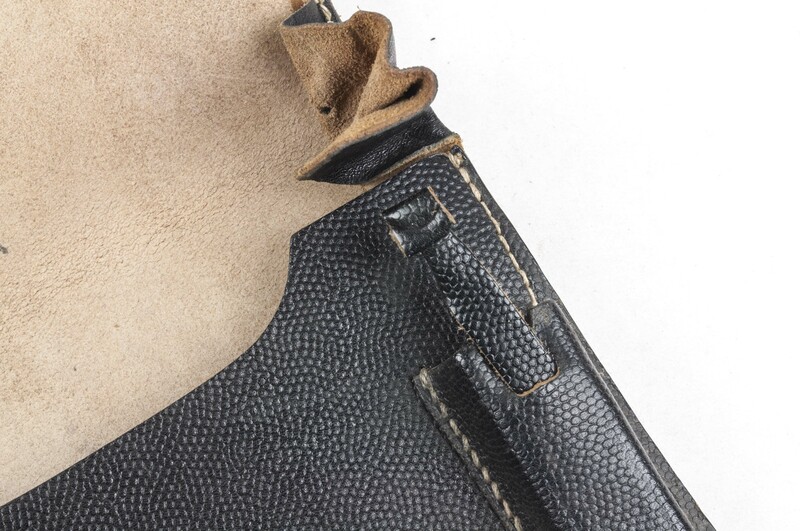 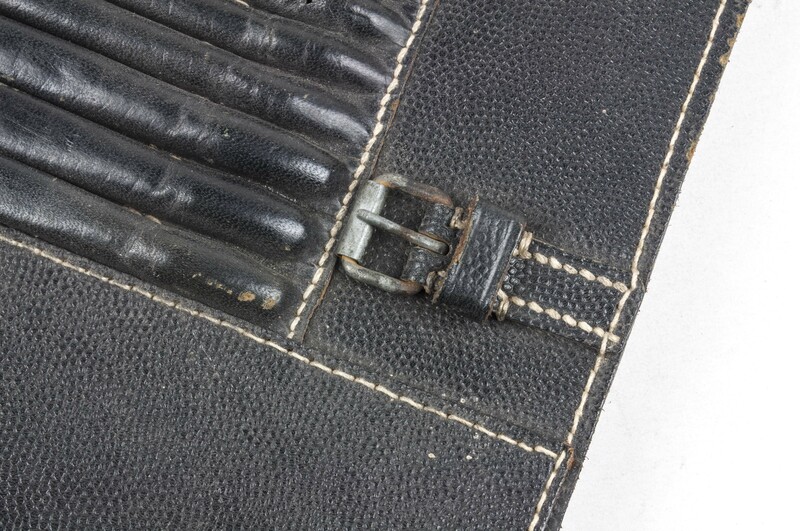 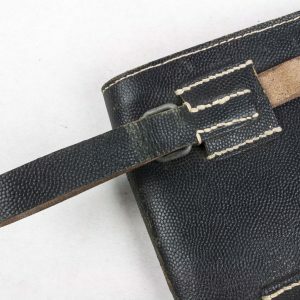 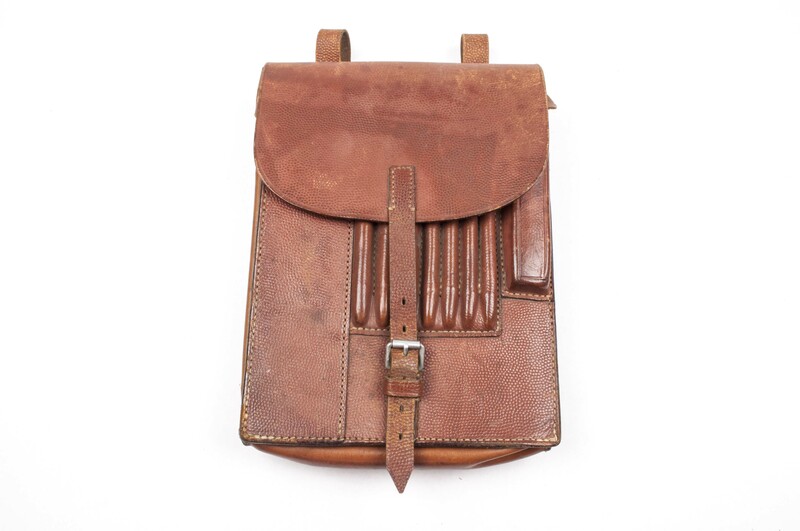 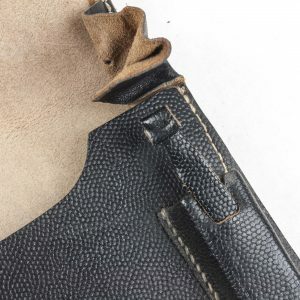 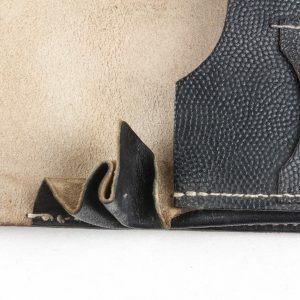 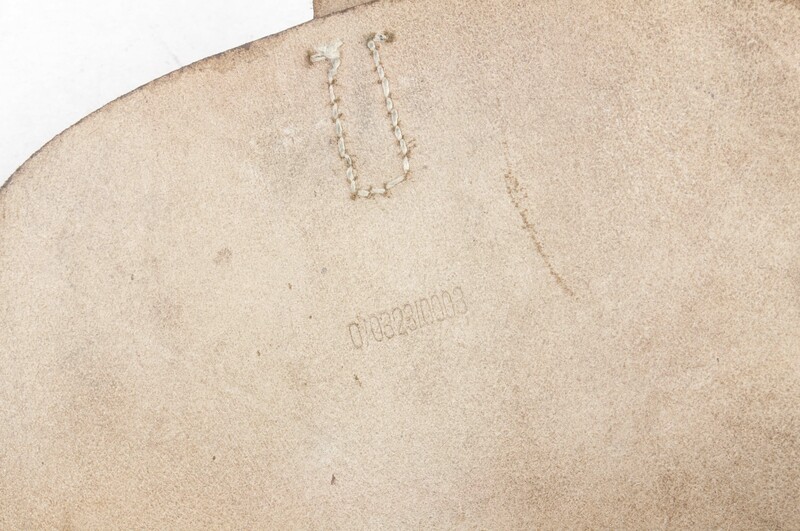 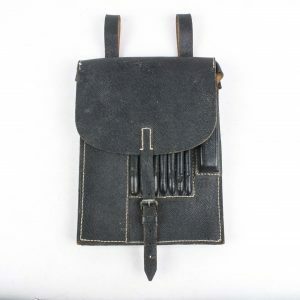 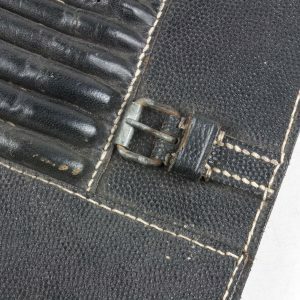 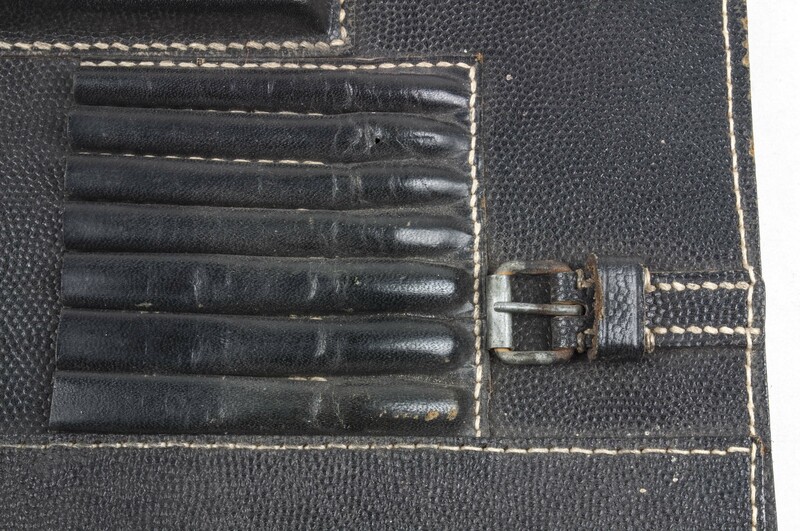 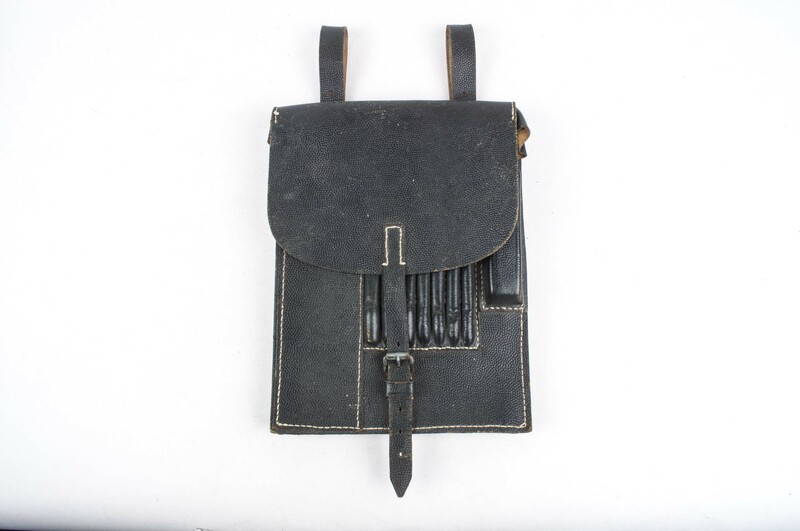 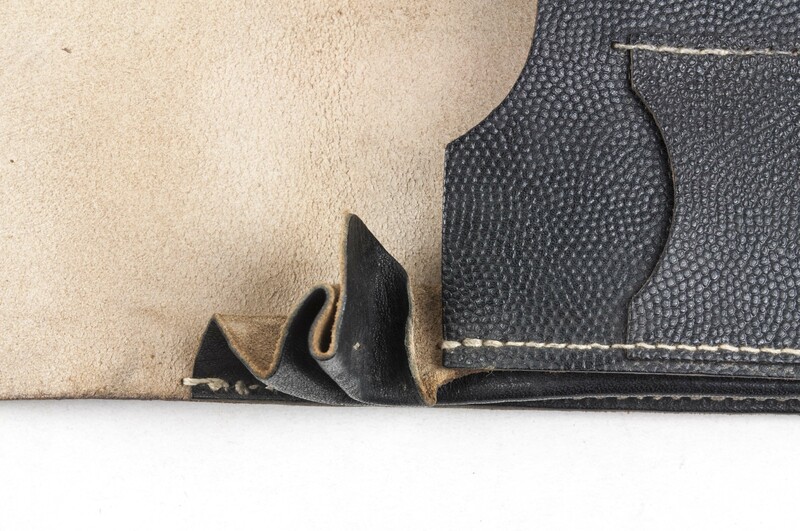 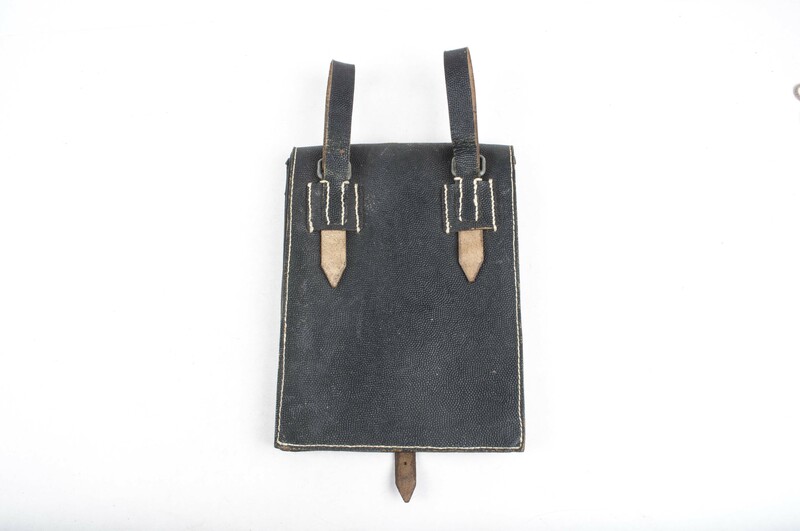 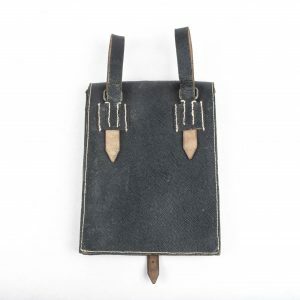 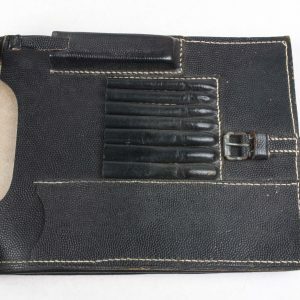 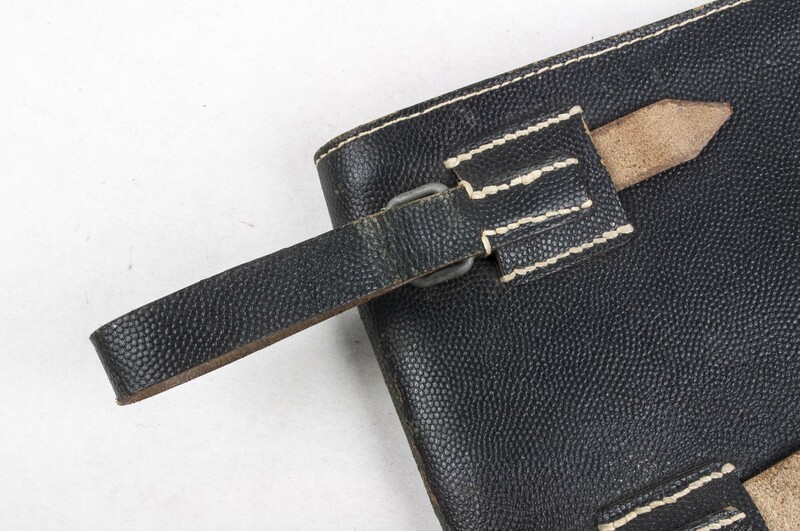 The mapcase was a item most often related to non- and commissioned officers in the field. 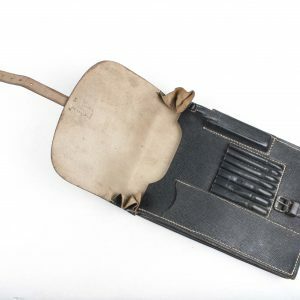 Truth is many other functions and ranks wore these pouches containing all sorts of paperwork. 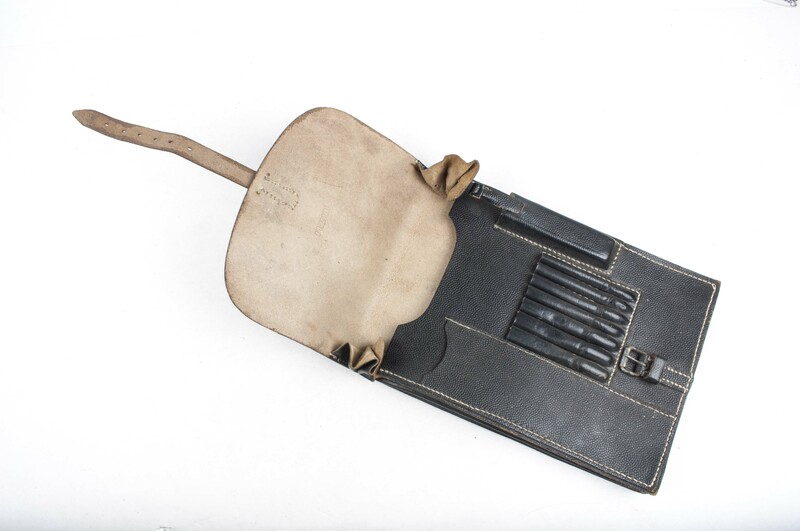 Melders or messengers in the field, truck- and motorcycle drivers utilized mapcases. 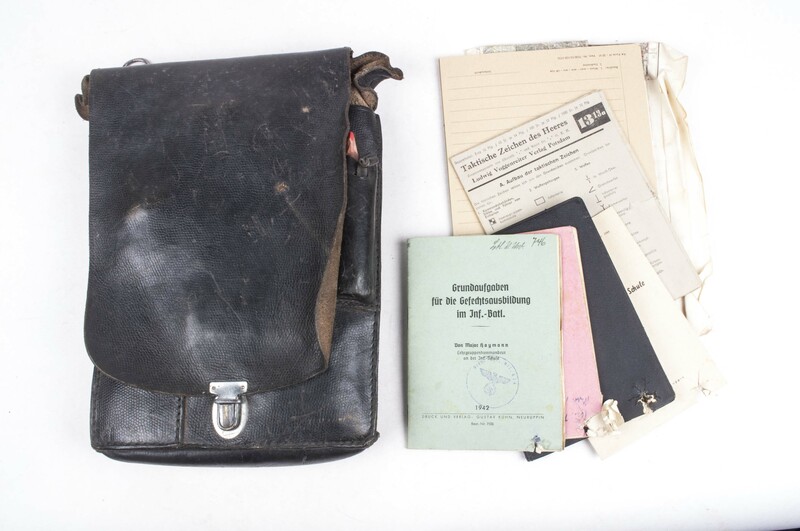 The german army had a few varieties in mapcases in different colours. 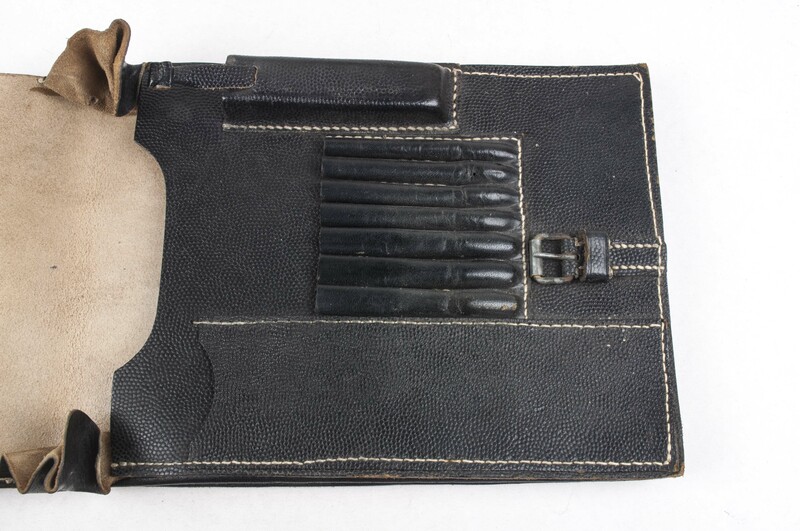 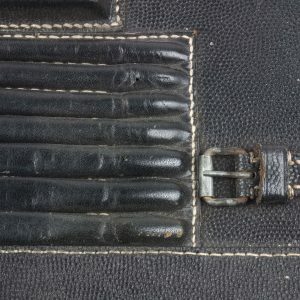 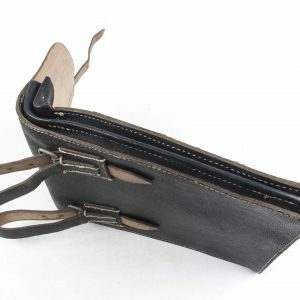 The mapcase could contain anything from maps to pencils, from the famous Deckungswinkelmesser to a wide variety of map plotting rulers. 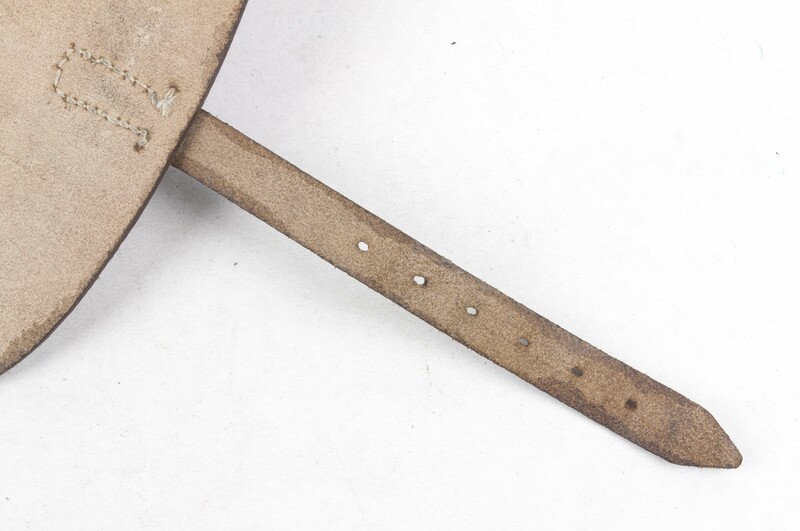 Hardware: A combination of gray galvanised buckles with and with and without rollers. 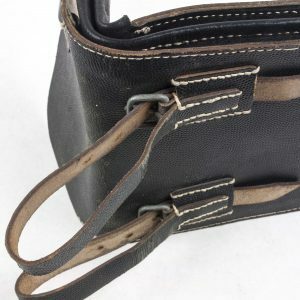 The items in the articles category are not for sale!